Of all the holidays we celebrate each year, the Christmas season easily holds the richest musical tradition. Earlier and earlier each year, we begin hearing those same old holiday tracks that have composed the soundtrack for the holiday season since anyone can remember. Fortunately, every year some of our favorite Paste artists choose to freshen the holiday music genre with new releases, whether they're original compositions or unique takes on traditional holiday favorites. 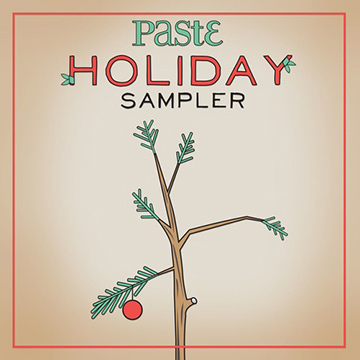 If you're looking for the perfect playlist for that tired "Secret Santa" party or just hoping to amp up your holiday spirit in a new way, look no further than the Paste Holiday Sampler. Featuring tracks from Sufjan Stevens, Great Lake Swimmers, Hey Rosetta!, John Roderick & Jonathan Coulton and more, this 21-song sampler is sure to give your holiday soundtrack a little something special.